Today I’m gonna tell you about a man who was a lot like me. 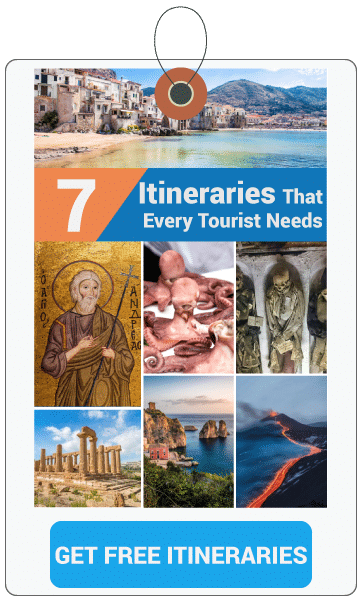 My name is Tano Bongiorno and I’m your official guide and host for the ancient and wonderful city of Palermo. The man I’m talking about is considered to be an antimafia superhero. His name is Giovanni Falcone, and I say he was a lot like me because to grow up in the streets of Palermo, you have to learn to be plenty tough. But today, things have calmed down so I just lead a pleasant life hosting this nice website to familiarize people with our lovely and historic city. Giovanni Falcone was no Zorro or Batman. He never wore a mask and cape. I think he did have a nice mustache. 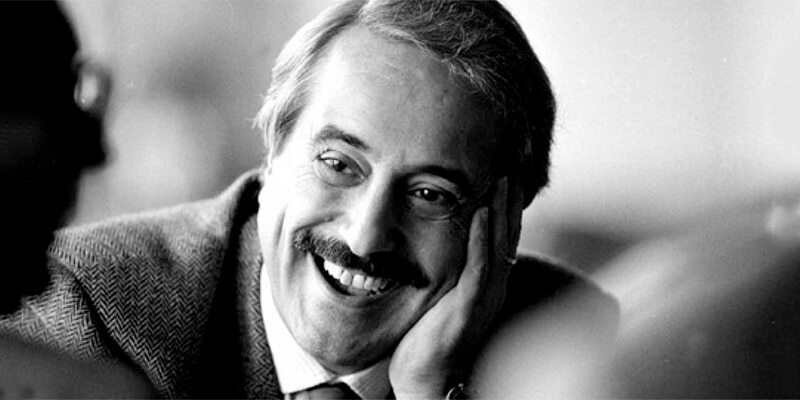 Giovanni Falcone managed to accomplish the legendary feat of completely changing the mentality of our country. He was a man who I guarantee you, who didn’t need a mask and cape to prove his superpowers and courage. Even today, when I hear the name, Giovanni Falcone, a shiver runs along my back. I’m no sissy, but still, when I think about Giovanni Falcone, I, Tano Bongiorno, cannot stop a tear from running down my face. All over the world, people know about the Sicilian Mafia and its godfathers who have stained the dignity of Sicily with blood, but not too many know about those who became gladiators who fought like brave lions against the terrifying and powerful Mafia. He went on to say that it was made up of people like Giovanni Brusca who merrily dissolved the children of rival families in acid. During the eighties and nineties, Sicily smelled of death. Death hovered in the air and the inhabitants lived in mortal fear of angering a Mafioso. Just so much as a “wrong look” could spell death to some citizen who happened to glance at a Mafioso. Those were the years of Mafia family supremacy. These people exterminated of people just to claw their way to the top of organized crime. But Cosa Nostra was about to deal with a prosecuting magistrate who, alone, was able to bring the entire rotten system to its knees. Along with colleague and friend Paolo Borsellino — who met his death through a Mafia attack only two months into the prosecution — Giovanni Falcone were to go down in our history as Italian heroes in the war against the Mafia. Giovanni Falcone became the enemy of the most powerful and feared people at the time. He learned that Cosa Nostra had already spread to the United States. Giovanni Falcone learned to know a great deal about the organized structure of the Mafia. This was due to the confessions gleaned from Tommaso Buscetta, a Mafioso who, once captured, began to cooperate with the forces of justice. Giovanni Falcone’s most important discovery was that the structure of the Mafia organization was such that the top families paid handsomely to politicians who ran the government in Italy. This told Falcone that, in reality, the Mafia and the politicians happily ran Italy together, and to their exclusive benefit. They felt no regard for the general population. The first inroad into the heart of the Mafia was the famous The Maxiprocesso (The Maxi Trial). This was his first trial against the Sicilian Mafia and it took place right here in Palermo. The trial was held in a bunker-courthouse that had been specially constructed for this purpose inside the walls of the Palermo prison. Once a year, on the anniversary of his death, it is possible to visit the site. At this first trial, 475 accused were tried with some 200 attorneys, and in the end, heavy sentences were handed down. Nineteen convicted were given life sentences and overall, the accused Mafiosi received a total of 2,665 years imprisonment. To date, this remains the largest criminal trial ever held anywhere in the entire world. 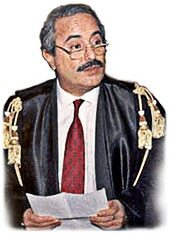 On May 23, 1992, Magistrate Giovanni Falcone along with his wife, Francesca, Morvillo, also a magistrate, was assassinated along with their bodyguards in what is known as the Capaci massacre. This Capaci massacre had been orchestrated by Cosa Nostra in Capaci. Capaci is a village only a few kilometers distant from Palermo. Today an obelisk with a memorial plaque stands by the highway at the place where the judge, his wife, and his bodyguards were slain. Every day people pause there for a short prayer. On that fateful day in May of 1992, the explosion that killed the group was so forceful that it left a huge crater in the road. The Mafia could surely have assassinated Magistrate Falcone in a less theatrical way, but it has always been a trait of the Mafia to perform such operations in a way that sends a message to the entire world. This was not the only assault on the magistrate’s life. Throughout his career, Giovanni Falcone faced mobsters who tried on numerous occasions to kill him. When that failed, they turned their attention to his colleagues who worked with him in his fight against the mafia. And finally, they even assaulted a number of politicians they suspected might be cooperating with the authorities. Today, we consider Giovanni Falcone along with Paolo Borsellino, to mark a reference point for those who believe that justice and crush the Mafia oppression with its clans and affiliates, no matter how powerful and determined it may be. This sort of open and brutal criminal activity cannot be tolerated in our society. While you may be a big fan of Francis Ford Coppola’s production, The Godfather, you may really enjoy your trip to Palermo and I, Tano, personally invite you to visit the resting place of Giovanni Falcone who lies in the Church of San Domenico. I think that’s only fair.